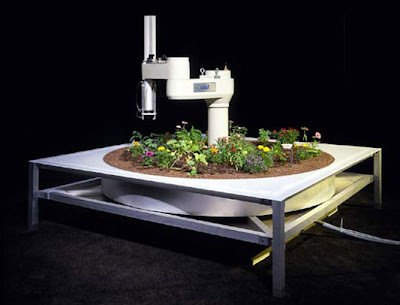 The Telegarden is a system that allows a living garden tended by a robot manipulator to be operated via anyone on the WWW with a desktop (or laptop!) computer and modem. We had three major objectives in constructing it. 3 As an experiment in electronic community where web surfers can gather and interact amongst themselves and with a real environment.